Plastic clocks don’t cost too much, so I bought a bunch of them with the idea to create my own faces out of photographs. 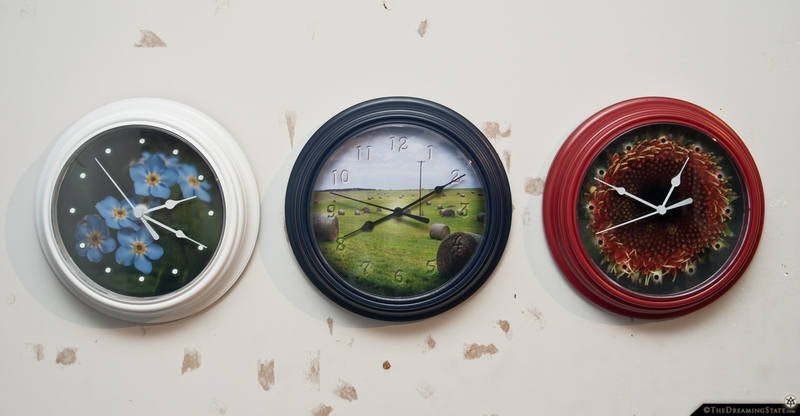 In all I made twelve different clocks and gave them away as gifts to friends and family. Rediscovering from 5 years ago. 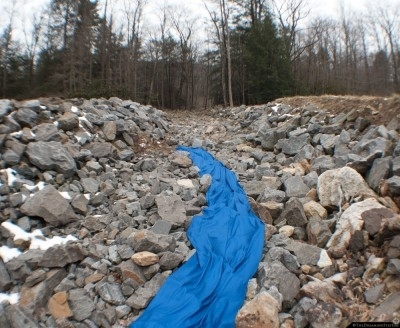 I bought a long piece of fabric and took it to this rocky landscape for a new photo idea. Although this is not at all what the final photo looks like, there is something conceptually nice about the simplicity of the draped blue cloth on rocks. 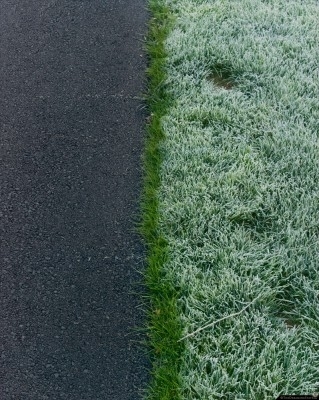 Simple but nice. 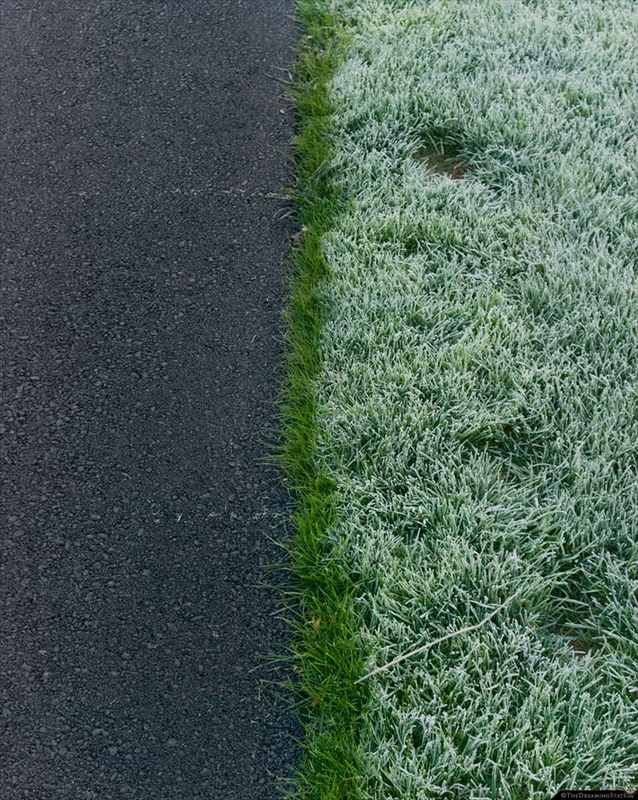 I enjoy photography that reminds me of minimalist painting… I am guessing here that the morning sun began to slightly heat up the driveway, which caused the frost to melt on the edge. Science.